Driving a car is a daily necessity for most people, especially if you don’t live in a large city with reliable transportation. Unfortunately, a vehicle is also one of the most expensive purchases you’re likely to make, forcing many people to take out an auto loan rather than saving up cash to pay upfront. So what do you do if you have bad credit and need a new car? While some lenders may not approve your application, there are several places you can turn for a loan, even if your credit is struggling. Here are our top picks of bad credit auto lenders for 2019, along with some tips on how to get the best loan possible. Accepts applicants with bad or no credit, and even past bankruptcy. Provides up to 4 loan offers in as fast as 4 minutes. Connects you with dealers within 24 hours. 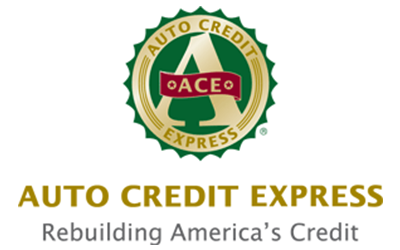 Auto Credit Express specializes in car loans for applicants with bad credit, no credit, and even those who have a bankruptcy in their past. They’re also known for approving loans for older vehicles that have high mileage, whereas traditional lenders typically turn down these types of requests. Another perk is that you can get approved with as little as zero or $500 down payment, so you can get a car loan even if you don’t have lots of cash on hand. You will, however, need a steady income to get approved, with a monthly pre-tax salary of at least $1,500. Expect to be asked several questions about your employment situation, like how many hours a week you work, how much overtime you get, and other specifics. But don’t worry, you won’t be bogged down with endless input fields; in fact, the application only takes three minutes to complete online. 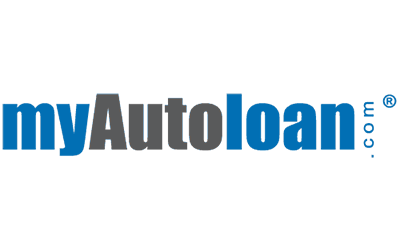 You can find both new and used car loans at MyAutoLoan, which matches you with lenders to provide up to four loan offers in as fast as four minutes. Because the website works with a variety of lenders, you may find lending guidelines less restrictive. For example, there are no set rules on whether or not you’ll need a down payment, or how much you can borrow. Instead, each lender has its own policies when analyzing your credit history, income, request amount, down payment, and loan term. You’ll also find a variety of funding options, including ACH, check, and bank deposit. Another great perk is that you can review all the offers for which you qualify without any obligation to accept any of them. Still, MyAutoLoan puts each application through a patented analysis process to make sure you’re matched with relevant loans. 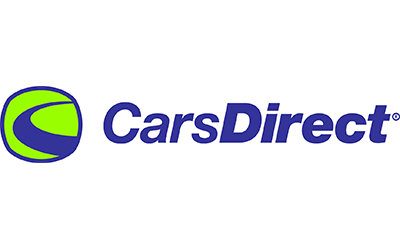 If you want to purchase and finance a car but your credit is not up to par, then CarsDirect is a great place to shop. 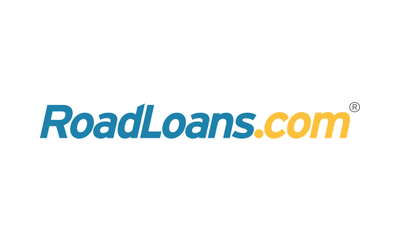 Their auto loan program allows you to fill out a brief application form, then connects you with offers from dealers within 24 hours. You can then shop for both new and used cars through the dealer with a customized financing plan already in place. CarsDirect caters to borrowers with all types of credit. They work with people with FICO scores below 640 on a regular basis, as well as those with recent bankruptcies. Some lender partners also offer the option to get an auto loan with a co-signer. That allows you to take advantage of better rates and terms on your loan. car.Loan helps consumers with poor credit and no credit access auto financing opportunities that may otherwise be difficult to find. The website matches you with dealers who are able to finance you regardless of credit type. Once you’re approved online, you can go car shopping in your area with your pre-approval in hand. 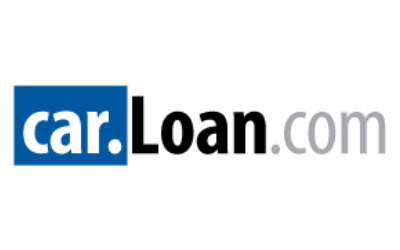 Car.Loan.com partners specifically with a dealer network that concentrates on special finance. These dealerships utilize in-house financing, which can allow them to focus more on an applicant’s income rather than their credit. Plus, the process helps you know exactly where you should be shopping for a car. It combines the convenience of online financing with an in-person vehicle search. It takes just three minutes to fill out a request form through Car.Loan.com. From there, you’ll typically be receiving a response within 24 hours, meaning you could proactively begin your car hunt within just a day or two. Rather than actually making loans, Blue Sky allows you to fill out a single application and in turn get connected to several lenders. They focus on bad credit auto loans so you typically don’t have to worry about not receiving any loan offers. To get the most options, you’ll need a minimum credit score of 550. If your score is below a 652, you’ll need to provide proof of income equalling a minimum of $1,800 per month. However, they do take applicants who don’t have any credit at all or have had a bankruptcy in the past. You can get a loan of up to $30,000 and some deals may even require no money down. 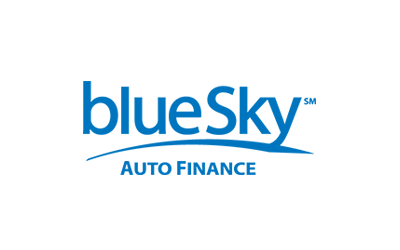 Blue Sky works with hundreds of lenders and can often get a loan in as quickly as a day. You can purchase either a new or used car with Road Loans, and can even use them to refinance an existing auto loan. They accept any credit type and you receive an application decision within minutes. It’s also a good option to consider if you want to buy a car from a private party rather than a dealership. You’ll need a vehicle inspection conducted and the car must be no more than 12 years old with 100,000 miles or less for private party loans. Most customers have a positive experience regardless of loan type. Trustpilot gives RoadLoans four out of five stars based on user reviews. You can also access a wealth of free tools, including smartphone apps, finance calculators, a dealer network, and credit score tips. Your credit affects just about anything you do that involves borrowing money, including getting a car loan. There are several ways your credit score affects the terms of your auto loan. Perhaps the most important part is the APR. That’s the amount of money you’ll pay each month on top of the principal loan amount. The lower your credit score, the higher your rate, and the higher your monthly payments. You’ll also be limited as to how much money you can actually borrow. If you have a poor credit score, it’s unlikely that you’ll qualify for a high dollar loan amount. Your car search will be limited to the loan amount you’ve qualified for, whether you think you can afford it or not. How can I get a car with bad credit and no money down? You’ll most likely need a down payment. While some bad credit lenders specialize in loans with a small or zero down payment, many will require one. And if you want to buy a more expensive car than the loan you qualify for allows, you’ll need to make up the difference with more money down. Finally, the amount of time you have to repay your loan might be limited because of your credit score. Some lenders might make you have a shorter repayment plan so they get their money back faster. While you may save interest over time, that could result in higher monthly payments. As with any financial decision, it’s important to strike a balance between affording your monthly payments and finding a car that meets all of your requirements. If you end up buying something too cheap, you could end up spending a ton of money at the mechanic every month or two. Take a look at your financial situation holistically to weigh the pros and cons of the amount of car you can reasonably afford. 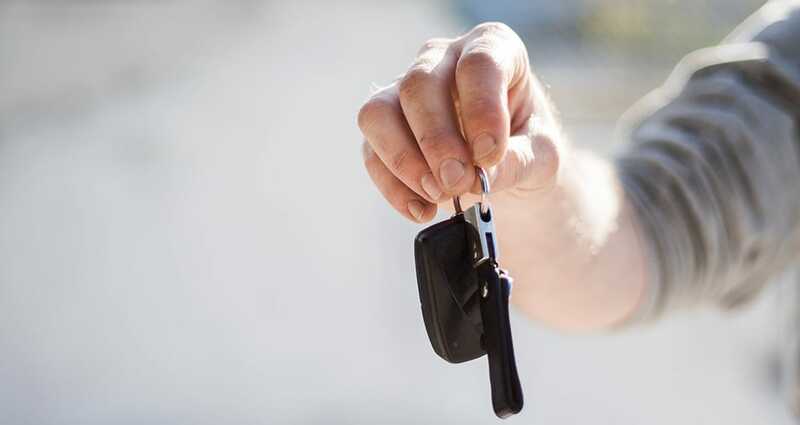 Even with poor credit, you can still follow a few tips to get the best deal on your auto loan. Just as with any other major purchase or investment, it helps to take your time with the entire process from start to finish. A few simple steps can make a world of difference in the type of loan terms you receive, so pay careful attention so you can minimize your monthly payment. Before you start car shopping, access a free copy of your credit report and review it for accuracy. This document has a huge impact on your ability to borrow money for a vehicle; after all, the information listed contributes directly to your credit score. Even if everything is accurate, you need to know exactly what information the car salesman or lender is looking at when reviewing your financing application. While you certainly hope you’re dealing with a trustworthy individual, many dealership finance managers use pressure tactics that are based on deceit. If you don’t know your own credit history, you don’t know if any allegations made against you are actually true, and you could end up with higher interest rates. Once you’ve reviewed your credit history, it’s time to figure out your budget. You need to look at this from two different perspectives: the total amount you want to pay for a car and the total monthly payment you want to pay each month. The two are related, but you should come to each amount separately. For instance, both the amount of money you pay for a car that’s financed and your interest rate contribute to your monthly payment amount. But even if you can afford a certain amount for a car, that maximum doesn’t mean it’s the right amount for every single vehicle. Make sure the sales price accurately reflects the condition and mileage of the specific car you’re considering. Find your target monthly budget by playing around with some auto loan calculators and inputting different interest rates and price points. When you have poor credit, you may not be able to change your interest rate, but you can negotiate the purchase price of the vehicle. The actual sales price doesn’t have anything at all to do with your credit. In fact, your car salesperson shouldn’t know anything about your credit history. To help lower your monthly payment, especially if you know you’re getting a high rate, try a few simple negotiation tactics. First, try shopping at the end of the month when the sales team is trying to hit target numbers. Also, try to go during off hours, like on a weekday morning. When there are less potential buyers milling about the showroom, the sales staff is much more likely to make an effort to seal the deal with you. You can also shop around several dealerships to compare prices and use competitors as leverage for a better deal. Even if you’re an amazing negotiator, remember that car salesmen are trained to make a deal that’s good for them. That involves using all sorts of psychological tricks to get to the number they want. An easy way for them to do this is through upgrades, even when you’ve successfully negotiated a better sales price. Whether it’s a custom paint color, seat warmers, a leather interior, or even a warranty plan, it’s easy to get sucked into tacking on a few thousand dollars here and there. And that can quickly derail your plans to stay on budget for your monthly car payment. Avoid this scenario altogether by adopting a strict no-upgrade policy before you enter the dealership. Paired with a maximum purchase price in mind, you’ll safely meet your financial targets. Whether you get a loan through an online lender or straight from the dealership financing department, make sure you read all of the details before signing anything. It’s not safe to assume that everything is boilerplate; in fact, there are many details you should confirm before moving forward with the loan. First, double check that all of the information is accurate, including the sales price, interest rate, applicable fees, and even the make and model of the car. It’s also important that you don’t fall victim to “yo-yo” financing. This happens when you “purchase” the vehicle without finalizing your loan with the dealership. Shortly afterward, you’re notified that your financing actually fell through and you’re required to sign a contract at a higher APR. Get everything finalized and confirmed before you take the car off the lot. When you do finalize the terms of your auto loan, commit to being a responsible borrower. Repaying an installment loan is a great way to repair your credit, and it’s simple to do. Of course, late payments will hurt your credit score, in addition to accruing you expensive fees. But as long as you stay on top of your payments you can really benefit from an improved score. In fact, you may even decide to refinance your car for a better interest rate.